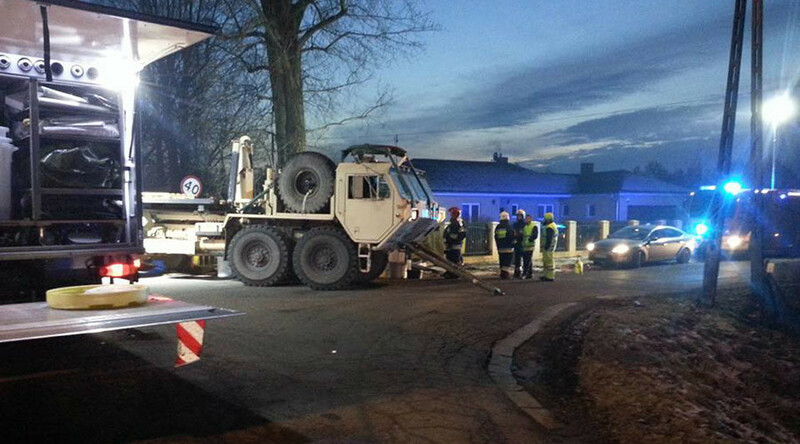 A US army convoy got stuck in the mud on a road in western Poland. Their colleagues who came to help then saw their own vehicle turning over, prompting the 'gallant' soldiers to eventually ask the locals for help. 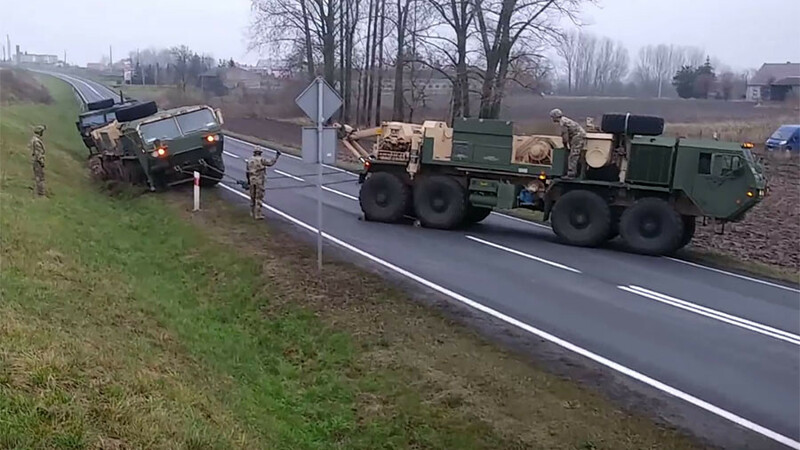 The small US army convoy, consisting of what appears to be two heavy combat engineer support vehicles, experienced trouble on a road near the western Polish town of Lubin, when one of the trucks suddenly experienced problems with the brakes. The convoy pulled to the side of the road to examine the fault, only to find themselves stuck in a ditch. It soon turned out that it was only the beginning of their troubles. 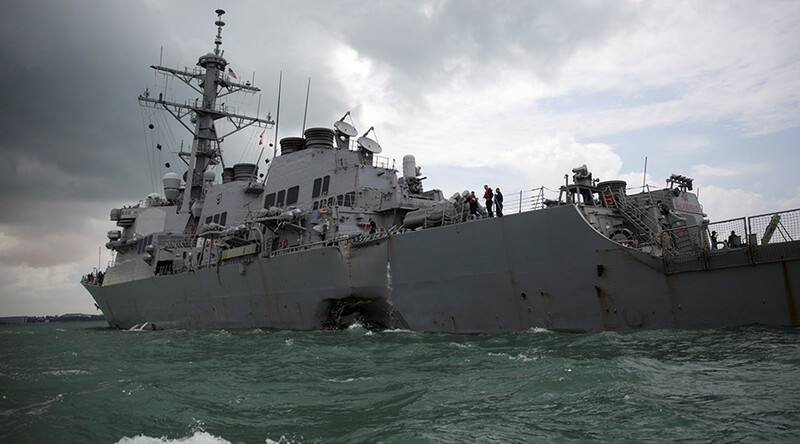 The soldiers tried to get the trapped vehicles out with a military wrecker. Video taken at the scene shows that the towing truck managed to pull one vehicle out of the mud. However, the tow vehicle itself ended up flipping over on the other side of the road, as it fell into another ditch in a futile attempt to replicate its success with the second vehicle. 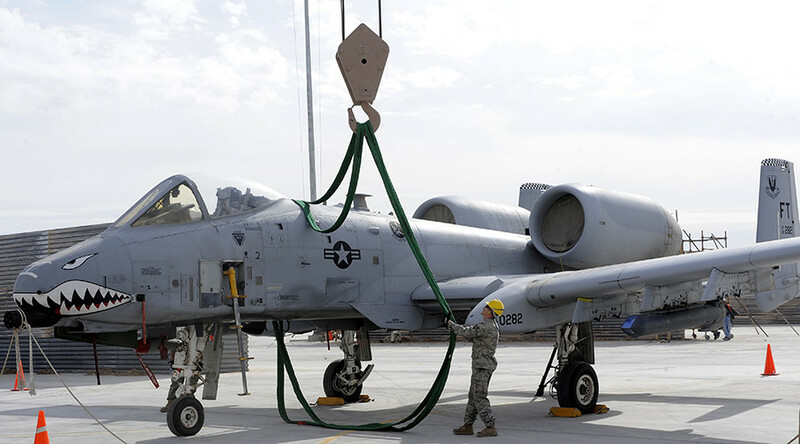 The US soldiers soon realized they were not going to cope with the sticky situation on their own and asked a local company, the Truck Serwis, for help. The Poles, who apparently had a better knowledge of the local roads managed to get the unlucky Americans out of their muddy misery. A local media outlet released aerial footage of the stuck in the mud incident. 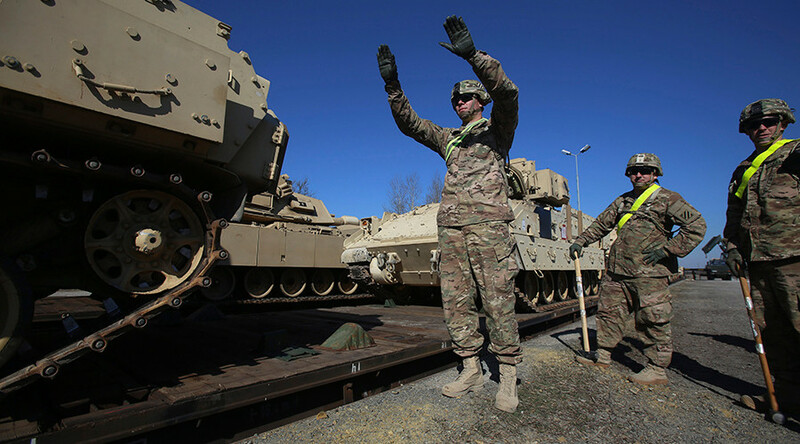 However, Polish media that reported on the incident did not provide any details about the military unit the unfortunate soldiers belonged to, as well as about their mission.The US Army in Europe did not provide any official comments on the incident either. 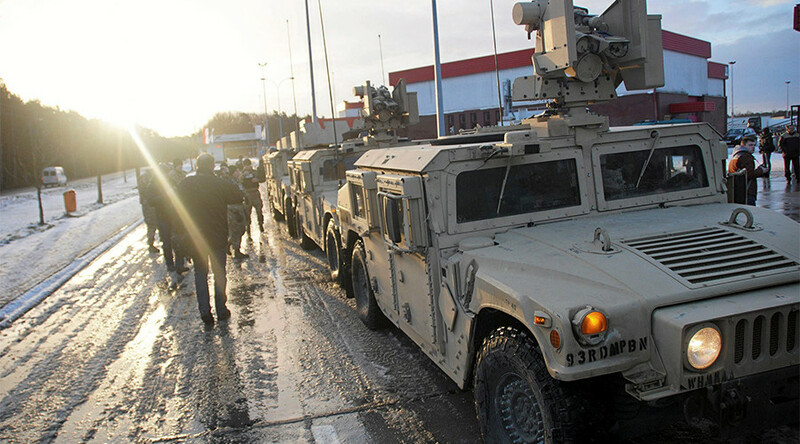 Polish media reported further that the incident in Lubin was just the latest in a series of similar misfortunes that has plagued the US Army in the Eastern European country since the beginning of the year. 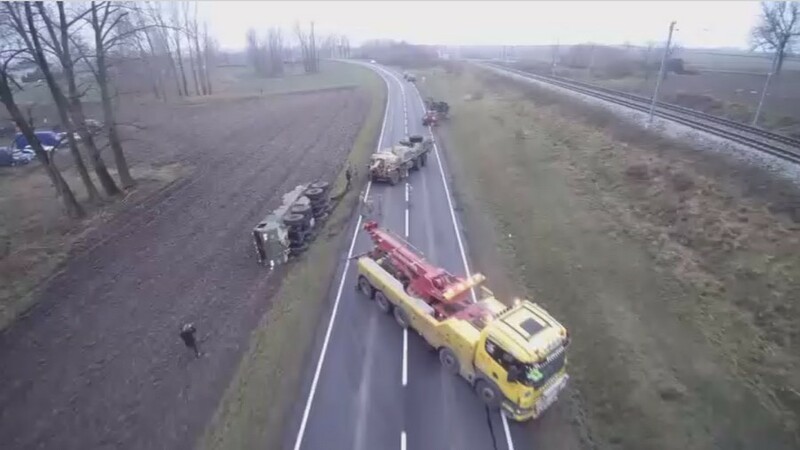 Other somewhat embarrassing incidents involving US troops included a US military truck colliding with a bus; a military ammunition truck falling in a ditch; and a service vehicle getting stuck in another ditch while turning around.